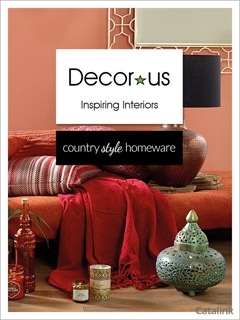 Decor-us Home bring you a beautiful selection of country furniture and home accessories for you to explore. Sign up to their newsletter today and fall in love with all they have to offer. Discover a gorgeous selection of modern and unique lighting, beautifully crafted furniture and stunning mirrors. Make a statement and unlock the true potential of your home with Decor-us. The experts at Decor-us are dedicated to you and your home, bringing you only the best in country furniture. Making sure that everything they supply is of the best quality and at the best price. Sign up to their newsletter today for the best interior tips and tricks! Re-design just one room or take on the whole house! Whatever the goal, no mission is too big for Decor-us. From unique table lamps, velvet throws and copper coffee tables to low seated sofas, retro radios and much more. Whatever your style, you can find something with them. Sign up to the Decor-us newsletter today to give your home a make over. Receive exclusive member only updates and offers from the home interior experts!